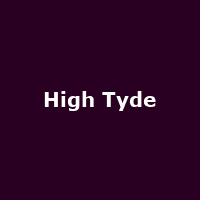 High Tyde are an alternative band from Brighton, formed in 2012. The band features Cody Thomas-Matthews (vocals, bass), Connor Cheetham (guitar), Spencer Tobias-Williams (guitar) and Louis Semlekan-Faith (drums). They released their debut EP, "Meal Deal" in 2012.